NEW! 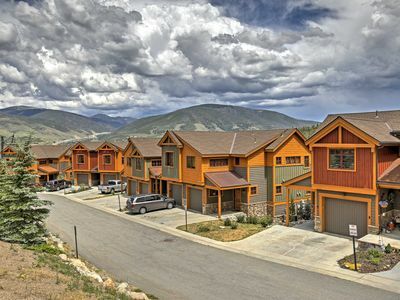 4BR Silverthorne Townhouse w/Mtn. Views! 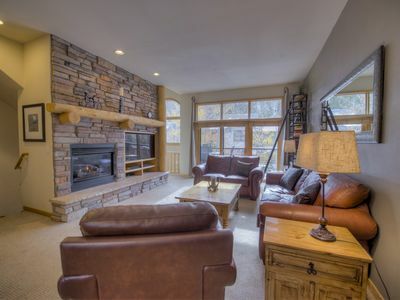 For your next Rocky Mountain getaway, look no further than this spectacular 4-bedroom, 4.5-bathroom Silverthorne Townhouse, which sleeps 13! Offering modern amenities, a private balcony and a fantastic view of Dillon Dam, this Colorado property leaves little to be desired! Enter this modern, professionally furnished 2,100-square-foot home and you’ll be dazzled with the property’s gorgeous natural views! 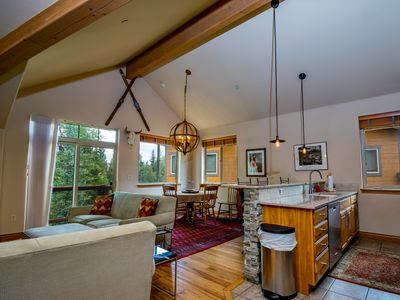 Back inside, you’ll be warmed by rays of natural light shining through the large windows in each room, and greeted by an extensive fully equipped kitchen with granite counters and stainless steel appliances, where you’ll love preparing your everyday meals. 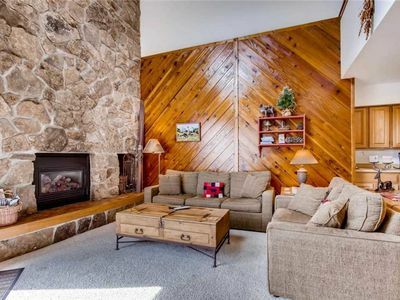 Relax in style within the comforts of the spacious living room, where a cozy wood fireplace will keep you warm and a flat-screen cable TV keeps you entertained - one of four in the home. 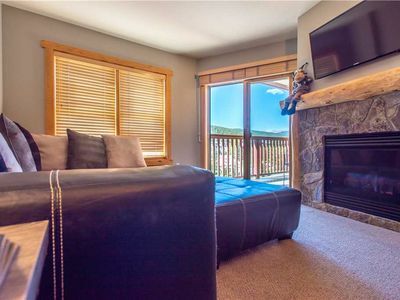 Slide open the living room door and bring a cool beverage or snack out onto the private balcony for the best views of the mountains and valley rising over Lake Dillon. Look forward to the end of each day as you slide underneath the covers of the plush king bed in either the master or 3rd bedroom. 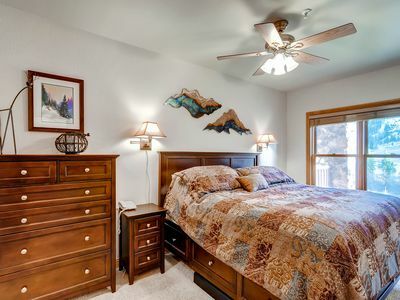 The kids are sure to sleep soundly from bedroom 2 and bedroom 4’s twin-over-full bunk beds. No matter what season you’re here for, there’s always something outdoorsy to do in the Rock Mountains! 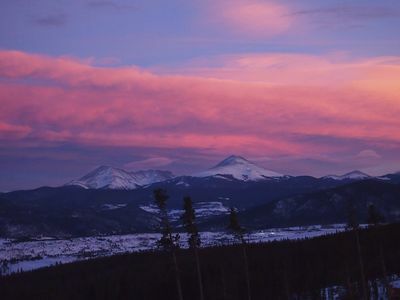 During the snowy winter, grab your poles and your skis to shred the slopes of several nearby mountains including Vail, Breckenridge, Keystone, Arapahoe Basin and Copper Mountain. 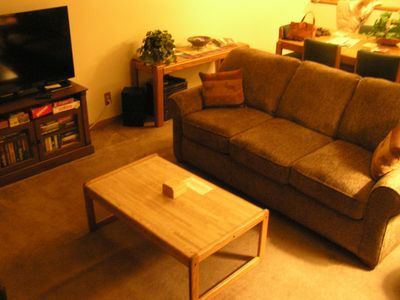 - all within a 35-minute drive of the townhome! During the warmer months, you and your companions will love hiking and exploring endless mountain trails, and be sure to try and hook your catch of the day from the calm waters of Lake Dillon. When it’s time to chow down, head back into town to check out a variety of delicious restaurants in downtown Silverthorne. 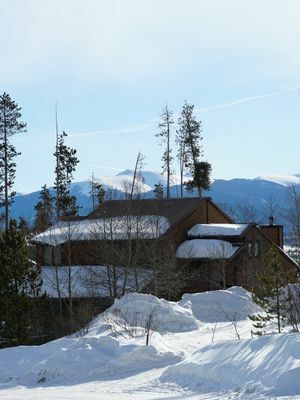 - Dazzling central mountain location! 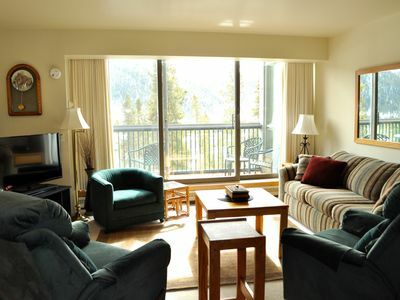 - Enjoy easy access to skiing, hiking, fishing, boating, mountain biking and restaurants! 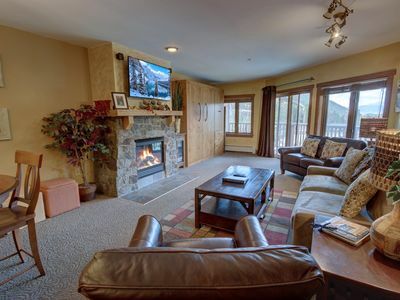 Steps away from the lifts, 3 outdoor hot tubs, free wifi, & parking. 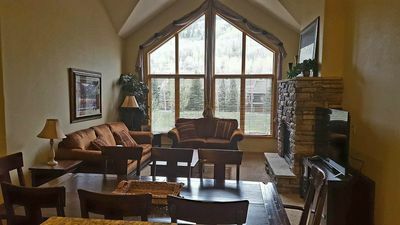 Beautiful 3 BR plus large loft, 3 Bath Condo Keystone Ski Resort, CO-Sleeps 16! 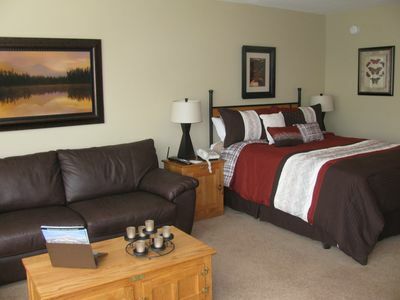 Beautiful condo on the Blue river, great views!